One of the easiest and most cost-effective ways to style a smaller bathroom is to install a mirror. 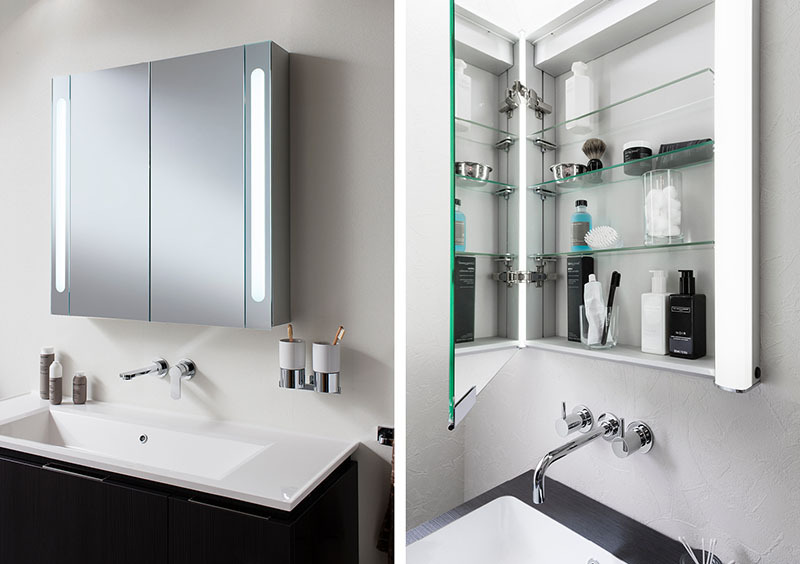 Not only is it completely practical in that you can see what you’re doing when brushing your teeth or shaving, but it can also double up as a storage solution if you opt for a mirrored vanity cabinet. For a minimal, low fuss style look to these options from Bauhaus! Alternatively, extending a mirror along a wall will allow for two people to use it at a time, and in less-than-ideal space restrictions, every inch counts. 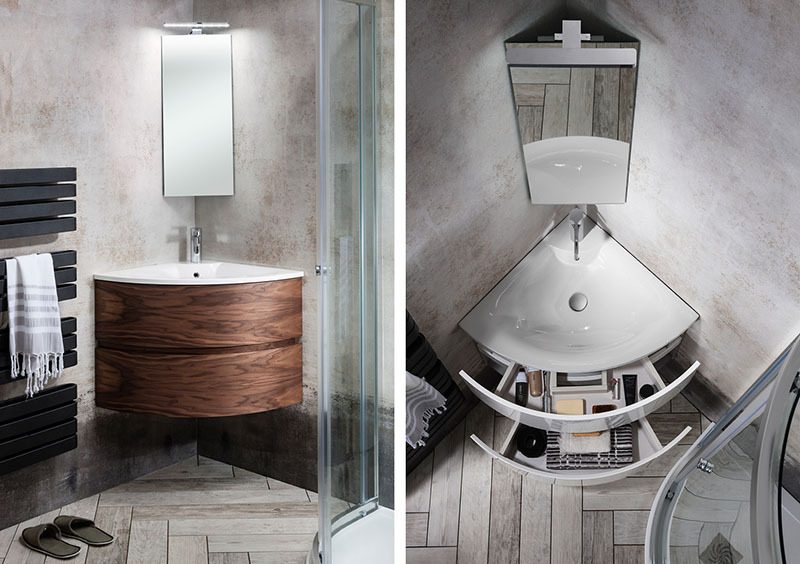 Optimise your bathroom or cloakroom by making the most out of unused spaces. Wall-mounted furniture is a smart choice for those with limited room to work with, as you can also use the space underneath the fitting for extra storage as well. Try this corner unit from our Bauhaus’ Svelte range, as its elegant curves and seamless finish means that you don’t have to compromise on style when thinking about how to effectively use the space available to you. For those with bathrooms where space is at a premium, look no further than Simpsons’ range of quadrant showers and shower trays. 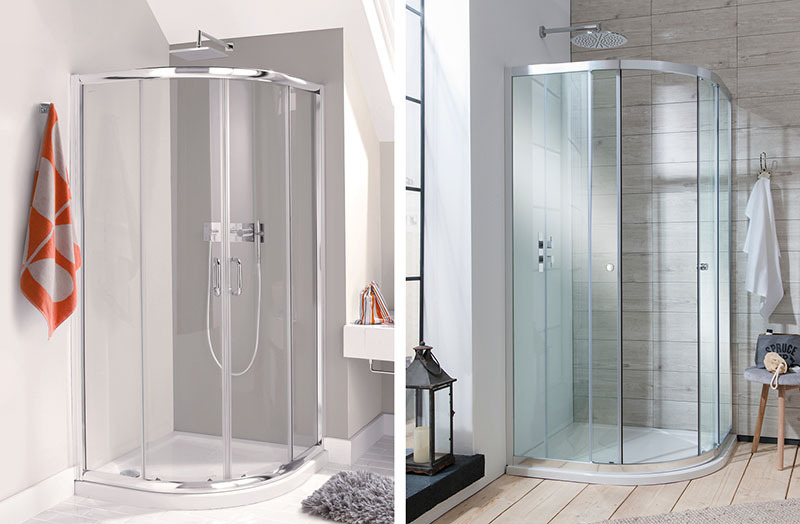 Offering a practical alternative to the more traditional square or rectangular-shaped enclosures, quadrant showers are the perfect way to incorporate a spacious showering solution into the bathroom, without compromising on floor space. Available in a wealth of style and size options, the quadrant enclosure’s signature curves and sliding doors work in harmony to bring you a spatially aware yet on-trend shower fixture!